The village of Mortemart is situated in the north-west of Haute-Vienne, to the south-west of Bellac and north-west of Limoges. 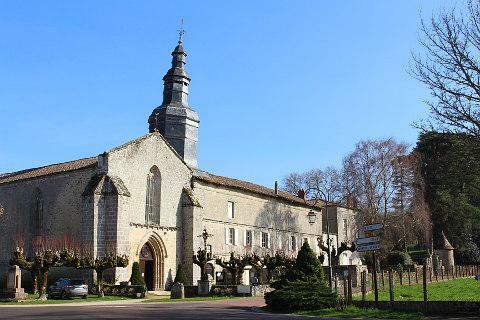 The village is within the region known as the 'Monts de Blond' and is officially classified as one of the 'most beautiful villages in France'. Mortemart can trace its origins back to a castle that was built here in 995 AD by the Duc de Mortemart, and around which the village originally developed - although little remains of the original castle today except the keep and a few rooms. It is to the 14th century that we owe 'modern' Mortemart, when three monasteries (two of them survive to this day) and various other important centres were established here and the medieval village developed, which continues to give the village its unique character. France This Way comment: as with many of the 'most beautiful villages in France' the pleasure of a visit to Mortemart comes from strolling around taking in the atmosphere as much as from any particular sight or monument. The centre of the village with its covered market is very pretty. The market hall dates back to the 17th century and was restored in recent years. Surrounding the market hall are the lovely stone houses of the village. Some of these are notable and attest to the prosperity of the village. Around the main square look out for the 'maison du Chevalier de Beon' which belonged to the chavalier de Béon who was in the court of King Henri IV. 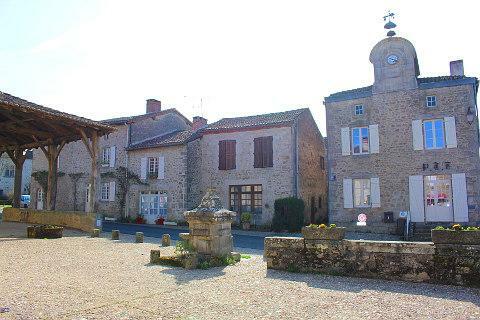 The 'Sénéchaussée' was built in the 15th century though its corner had to be removed to make way for the main road running through the village. 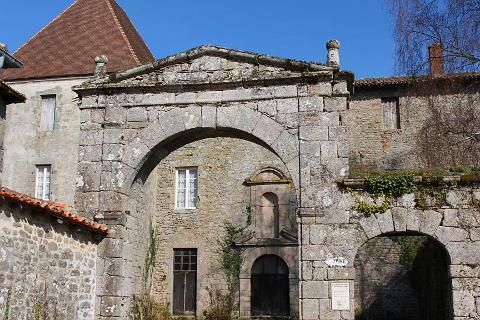 The 'Maison des Verdilhac-Villelonge' is another substantion dwelling from the 15th century which is built in a typical Limousin style with a strange overhanging roof. On the edge of the village the 'residence du Sénéchal' has a small turret which projects out from the wall of the first floor. 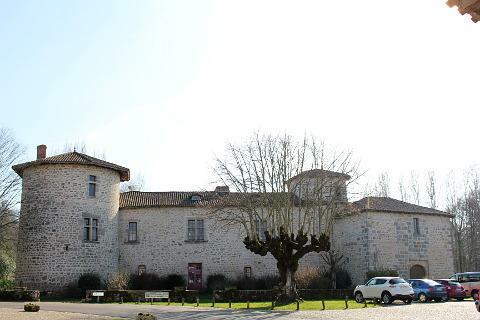 There are several key sites of interest in Mortemart of which the two monasteries, the Convent of Carmes and the Convent of the Augustins, and the chateau are the most imposing. The current monasteries date from the 17th and 18th centuries respectively and the contrast in their styles reflects this, with the Convent de Carmes a fairly simple style of stone building while the Convent of the Augustins is in a grander style that incorporates classical style architectural elements. The Convent des Carmes does though have rather an impressive monumental gateway built in the 14th century. Next to and attached to the couvent des Augustins is the church of Sainte Hilaire. 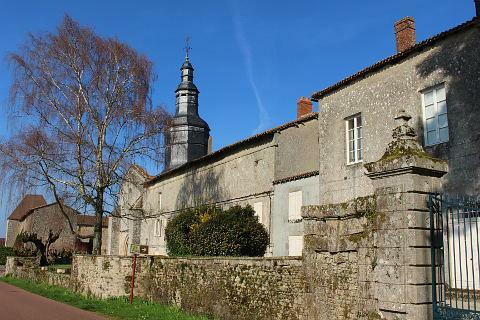 It was built in the 14th century as the chapel for the couvent des Augustins and in the 17th century became the village church. It is noteworthy, in particular for its interior which includes some carved stalls from the 15th century (be sure to take a close look at the many characters carved into the stalls) and a beatifully decorated baroque style altarpiece. It also has an attractive bell tower. The Augustines convent is now home to the marie. In its gardens is a pretty 14th century fountain and a round pigeonnier. The castle, the Château des Ducs has been renovated and is open to visitors. 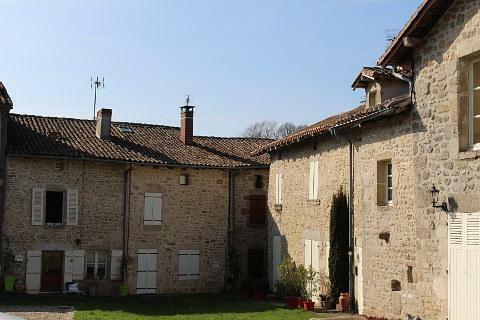 It is more of a grand 15th century house than a castle and has an attractive moat and garden. Its main hall is used as a function room that can be hired out. The chateau belongs to the current Duc de Mortemart. 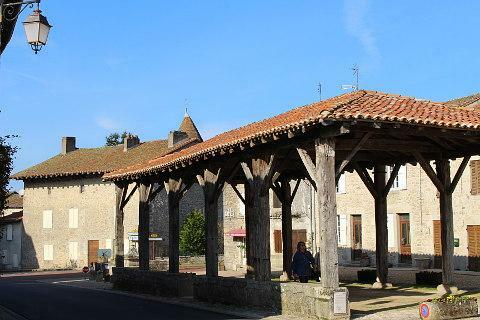 Note that Mortemart is a very small village and the only 'plus beau village' in the Haute-Vienne department so can get rather busy in the height of summer! The Monts de Blond region of Limousin is the most westerly part of the Massif Central and is a region of rolling hills, largely forested and with small fields. The Monts de Blond region is centred around the towns of Mortemart and Blond and also includes Chamboret, Cieux, Montrol-Sénard and Vaulry. The region reaches its highest altitude, a little over 500 metres, near Blond. As well as the scenery the Monts de Blond are also known for the numerous dolmens and menhirs to be found here, a testament to the fact that the region has been occupied since prehistoric times. To help preserve this environment for the future the region has now been classified as a protected natural site (site naturel classé). Just a few kilometers away up the hill from Mortemart is the quaint village of Montrol-Senard. 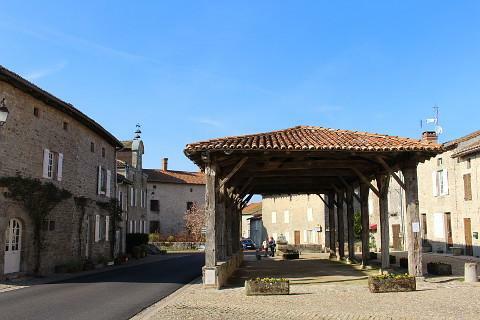 It is a typical traditional Limousin village with a washing area (lavoir), bread oven, cobblers etc. The town of Bellac is a 'town of character' and has an attractive centre and a traditional tanning shed.